Many people do not realize that part of Michigan’s Upper Peninsula is home to a free-ranging moose herd. Although it is difficult to predict where moose might be seen on any given day, there are areas where visitors would do well to begin their quest. In the eastern Upper Peninsula, Tahquamenon Falls State Park and Seney National Wildlife Refuge offer the best chances of seeing moose. 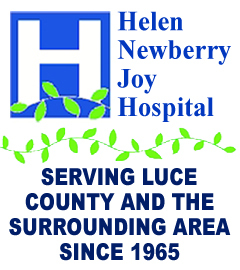 Video taken in September of 2009, by Nate Crosslin (4 miles north of Newberry). Stop at the visitor center on the corner of M-28 and M-123 in Newberry to get a copy of Moose Country, a DNR guide. This guide is designed to help visitors locate occupied moose habitat and has maps of the two moose viewing areas mentioned above. Some of the routes listed in the guide are on rugged seasonal roads that may become impassible any time of the year. Look for moose in the early morning and evening, when summer temperatures are coolest. Moose often are associated with water, so areas around beaver ponds and along the edges of lakes, streams, and swamps are good places to look. Tahquamenon Falls State Park has a moose information center with interpretive materials including a kiosk and a video on Michigan moose recovery efforts. Interpretive staff can provide the latest information on the local herd and recent sightings. In addition to moose, loons, eagles, black bears, deer, foxes, and even wolves may be seen in moose country. Hiking trails ramble throughout the state parks, connecting several scenic overlooks. Seney National Wildlife Refuge has a seven-mile marshland wildlife drive open to vehicles during daylight hours, plus a visitor center and gift shop. Caution must be taken when watching moose. Moose should not be approached. They can be unpredictable and aggressive. 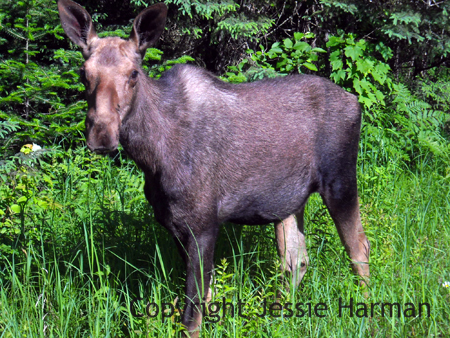 Most dangerous are cow moose with young, or bulls during the mating season (September and October). Moose are built for cold weather; with less surface area than smaller animals it is easier to maintain their core temperature. Their long legs make it easier to move through heavy snow and their heavy coats help them withstand cold temperatures. Moose are native to Michigan. Early settlers hunted moose for food. By the 1880's moose were not found in the Lower Peninsula, and by 1889 they were given full protection by the state. Gradually moose disappeared from the Upper Peninsula as well. In the 1930's the moose population of Isle Royale, in the northwest corner of Lake Superior, was overpopulated. The Michigan Department of Conservation decided to trap-and-transfer 71 moose, 63 of which were released in the Upper Peninsula. Moose were sighted more often, until WWII and meat rationing took place. From the 1950's-1970's occassional moose were spotted in the UP. In 1985, 29 moose were moved from Ontario to the western U.P. One of these bull moose found his way north of Newberry. In 1987, 30 more moose were brought over from Ontario. The western U.P. moose population is now estimated at around 420 animals, and growing about 10% a year. The overall moose population in the U.P. is estimated at around 700. Moose are cold weather animals. Even in the winter, when the temperature gets above 23F, the moose will seek shade. Lake Superior's cooling effect is important for the moose population. In 2010 a bill was introduced in the Michigan senate to establish an annual moose hunting season in the U.P., however currently no moose hunting is allowed. Skinner, Victor. "Moose Hunting Bill Introduced." Michigan Outdoor News 12 Feb. 2010: 1+.